Dating back to before he ever ran, continuing on through his racing career and extending to a second career at stud, Super Ninety Nine has been a case study in perseverance. A resident of Josh and Mike Pons' Country Life Farm in Bel Air, Md., the 8-year-old stallion is represented by three horses pre-entered in the $100,000 Lassie for 2-year-old fillies, one of seven stakes and four starter stakes on the 33rd Jim McKay Maryland Million Day program Saturday, Oct. 20 at Laurel Park. Agent Ninetynine, Better Yet and Little Miss Raelyn are among the first of Super Ninety Nine's offspring to make it to the races, a freshman crop that was delayed and limited after the son and grandson of Grade 1 winners was kicked in the groin by the third mare he ever covered in the winter of 2015. Super Ninety Nine wound up with 31 horses in his first year and enjoyed full seasons in both 2016 and 2017 but was only able to get one mare in foal this year before his hard luck resurfaced. Some minor scratches and scrapes on his left hind leg developed into an infection early this winter that was diagnosed at the University of Pennsylvania's New Bolton Center. While there, it was discovered Super Ninety Nine also had an injury to his suspensory ligament similar to those that happen to active Thoroughbreds during racing or training. He was ultimately moved to the rehab facility of trainer Bruce Jackson at the Fair Hill Training Center in Elkton, Md., where his recovery was aided by such amenities as a cold saltwater spa, hyperbaric chamber, salt vapor room, vibrating floor and water treadmill. “Anything that happens to a horse is a serious concern. They can't talk to you so you have to use your best horsemanship and surround yourself with really competent help,” Josh Pons said. “Anything can happen to a horse. Grandsons of Adolphe Pons, who founded Country Life Farm in 1933, Josh, 63, and Mike Pons, 61, took over day-to-day operations in 1981 and have overseen the farm through such notable events as the foaling of Hall of Famer Cigar in 1990 and the launching of Malibu Moon's stud career in 2000. As with Malibu Moon, who has gone to become an elite sire of such horses as G1 Kentucky Derby winner Orb and 110 other black type stakes winners, B. Wayne Hughes' Spendthrift Farm owns majority interest in Super Ninety Nine and has the option to move the horse to its Lexington, Ky., stallion operation. Josh Pons said Super Ninety Nine's laid-back attitude has been a critical part of his consistent ability to bounce back from adversity. Super Ninety Nine was sold to Becky Thomas for $200,000 as a yearling at Keeneland's September 2011 sale, then purchased for $260,000 by Tanma Corporation's Susan Chu as a 2-year-old in training in June 2012. Trained by Hall of Famer Bob Baffert, he debuted with a victory that October at Santa Anita and was made the 5-2 second choice for the Breeders' Cup Juvenile Sprint (G1) but had to be scratched the day before the race. He'd race twice more at 2, finishing second in the Hollywood Prevue (G3). “Things happen to horses. They're so fragile, and he's sort of been that way his whole life,” Pons said. “As a racehorse he was supposed to be sold as a 2-year-old in the select sale in March, and he chipped a bone in his ankle and so they had to sell him in the non-select sale in June. Super Ninety Nine won his first two starts as a 3-year-old, including an 11 ¼-length romp in the Southwest (G3) at Oaklawn Park. He returned to run fifth as the favorite in the Rebel (G2) and was third in the Santa Anita Derby (G1) in his sophomore finale. He raced once at 4, finishing fourth in a June 2014 optional claiming allowance before he was retired to stud. Three Diamonds Farm's Better Yet, trained by Mike Trombetta of Laurel and Fair Hill, was a driving 16 ½-length winner in her fourth start, a one-mile waiver maiden claimer that was rained off the grass to a sloppy and sealed main track Sept. 9 at Laurel. A May foal, she is out of the Not For Love mare Baby Love and is a half-sister to 2017 Maryland Million Classic winner Bonus Points, who was bred by Country Life Farm. Gold Square's Little Miss Raelyn was Super Ninety Nine's first winner, going gate to wire to score by 3 ½ lengths in a five-furlong waiver maiden claimer Aug. 19 at Laurel for New York-based trainer Jeremiah Englehart. A late April foal, her grandsire is 1996 Preakness (G1) winner Luis Quatorze. Joseph Besecker's Agent Ninetynine was claimed by Laurel's fall meet-leading trainer Claudio Gonzalez out of her debut Oct. 9 at Parx Racing, where she finished seventh in a six-furlong maiden claimer. Also a late April foal, she is out of the Memo mare Platinum Mine. Donald and Lucy Churchill's Maryland-bred Ruby Punch, out of the Two Punch mare Ruby Peak, won her debut in a Sept. 8 waiver maiden claimer at Delaware Park. She has run there twice since, finishing off the board in the Small Wonder Stakes and fourth in a starter optional claimer, the latter Oct. 11. 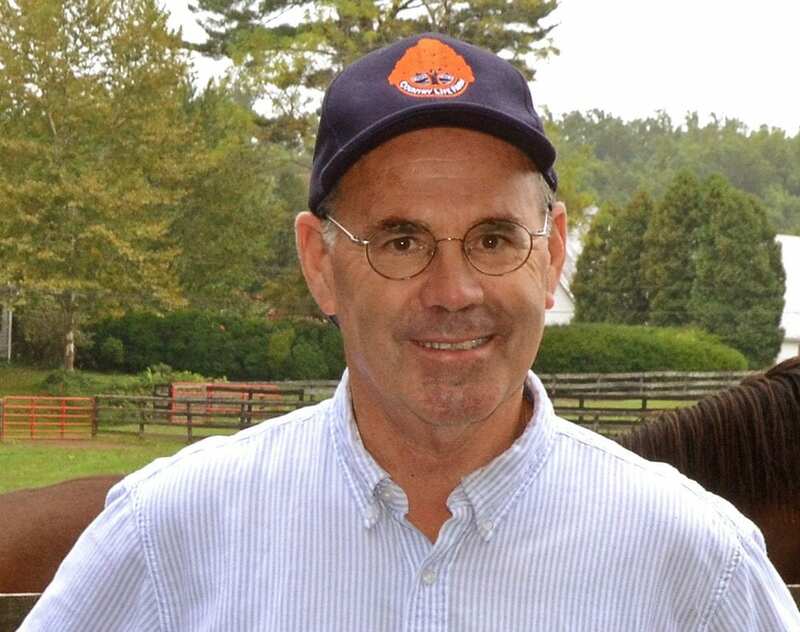 Pons, president of the Maryland Horse Breeders Association as well as secretary of the Thoroughbred Charities of America, is confident that Super Ninety Nine's early success bodes well for next year's breeding season. In addition to Bonus Points, Country Life Farm was co-breeder of 2001 Maryland Million Sprint winner Jorgie Stover and 2005 Ladies winner Surf Light. As an owner, it has been represented by four Maryland Million winners – Merryland Missy (2004 Distaff), Spectacular Malibu (2006 Lassie, 2008 Distaff) and Surf Light. This entry was posted in Bloodstock, NL List and tagged agent ninetynine, better yet, Country Life Farm, Josh Pons, lassie stakes, laurel, laurel park, Little Miss Raelyn, Maryland Million, maryland million day, Mike Pons, new bolton center, super ninety nine by Edited Press Release. Bookmark the permalink.